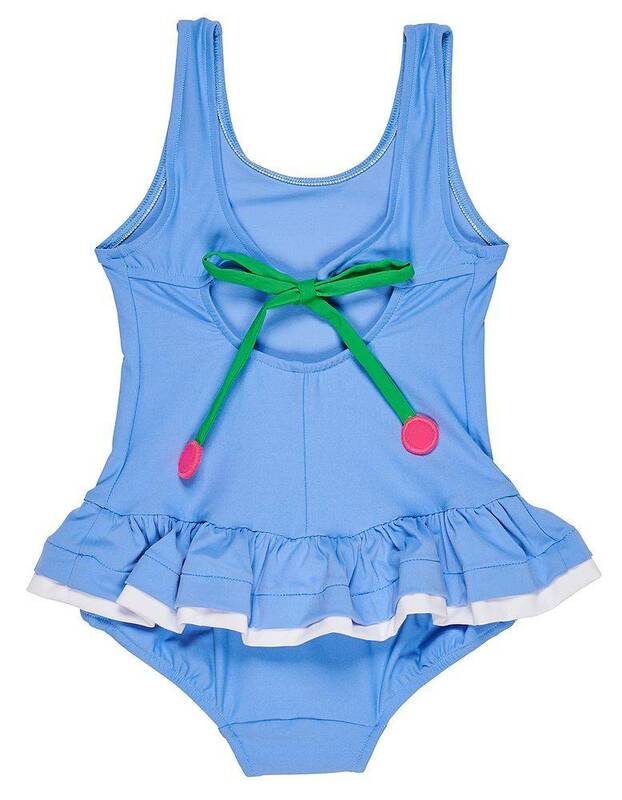 This periwinkle swim suit is made of two-way stretch fabric imported from Spain that is rated 50+UPF. The skirt and back ties are appliqued with cherries. Back legs are shirred to ensure it stays in place.